to enjoy moving with confidence again ! 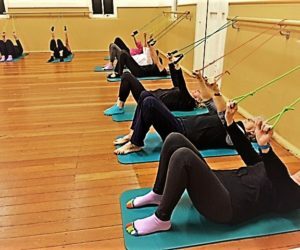 Pro-align specialises in clinical Pilates based ‘functional’ mat work classes. Mat classes are traditionally based around floor work; exercises being performed on the back, side, front and on all fours. Our classes also include work in sitting and standing to incorporate a more functional element. 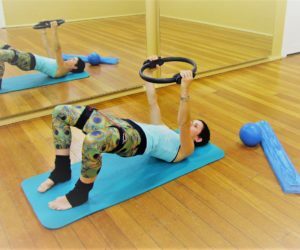 The use of small props (resistance ring, small ball, resistance band, foam roller) are integrated into each session to progress the exercises and provide more of a challenge. 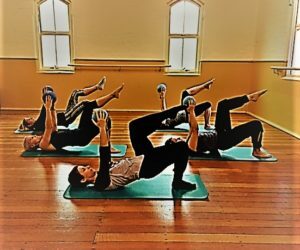 At Pro-align we utilise the fundamentals of traditional Pilates and combine it with modern research and elements from more functional based training methods. Arising from our Physiotherapy background the classes have a strong emphasis on correct ‘pre movement’ activation and the integration into movements that transfer well into activities of daily life. Our leading edge is ongoing education and ensuring you understand why you are doing the exercises and have a good concept of body awareness and your limits. Mat classes are suitable for people of any age and fitness level and our classes are graded to help to reflect this. Our 10 week programme running in Roseville and Darlinghurst locations runs 4 times a year in line with school terms. Ready to register - Click here! Wondering what the benefit of a programme v's a drop in class is?